If you're launching a book, or if your book has been out awhile, you need a media kit. When you attend a networking event like a Chamber of Commerce breakfast or a Meetup group, and it starts with attendees introducing themselves, do you use the word expert in your introduction? Almost no one does. And that's a huge missed opportunity. All seats have been claimed for today's free webinar on "The Indie Author's Guide to Creating a Killer Media Kit" from 4 to 5 p.m. Eastern Time. This is a response not only to this article, but to many others like it, too. 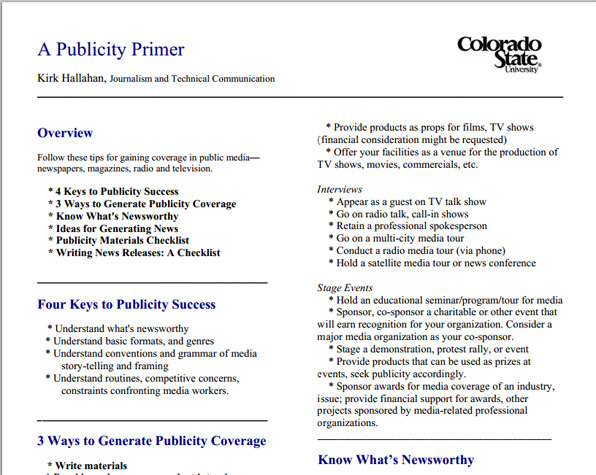 I found a gem of a little publicity cheat sheet I know you'll love.